Thank you to Richard Paget for the following:- Just though I’d send you a picture of my father in law with one of Monday’s catch. 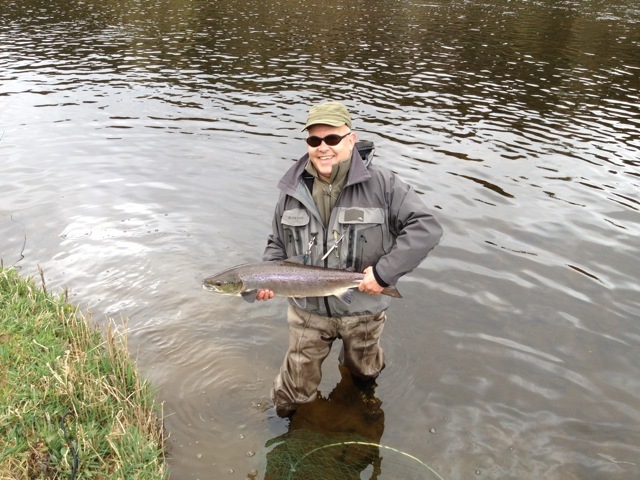 Paul Holland with an 8lbs spring fish (sealice and all) on Lower Mertoun Monday 9th April 2012. The second of two fish caught and released. This entry was posted in Uncategorized and tagged Angling, FishTweed, fly, gillie, Lower Mertoun, River Tweed, salmon, season 2012, seatrout, spring salmon, Tweed. Bookmark the permalink.